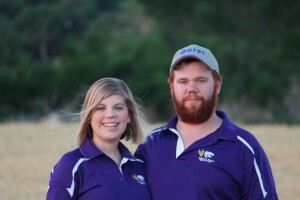 Meet Young Farmers Jake and Jessie Wyrill (Farm A to Z) - JP loves LIFE! Jake and Jessie Wyrill joined Jake’s family farming in Kirwin, Kansas as they graduated from Kansas State and got married. The family grows corn, grain sorghum/milo, soybean, wheat, and alfalfa. We also raise Black Angus and Hereford cattle. We are blessed to have the opportunity to farm with my husband’s whole family. We have six households farming together. In this day, it is great to be able to work alongside family. Jake and I grew up on our families’ farms. For Jake, farming was always in the plan. I had other plans originally. I thought I would study to be a wheat breeder and stay away from the family farm. When severe allergies changed that plan, I realized farming with Jake would be the perfect life for me. We are loving our life on the family farm in Kirwin! I love your work, Janice. Keep it up. I’ll be back for more. Thanks for visiting my A to Z Texas Towns. What an interesting A-Z topic! I live in a farming country, but I don’t get out onto the farm much. Thank you! I have really enjoyed it myself. Awesome way to give a voice to the farmers who are hard at work growing our food. It’s such an important topic. I see that you are employed by Monsanto. It must be difficult in some ways to work for them when there is such an outcry against GMOs and other actions that are very unpopular. Thanks Susan for coming by! I have truly loved getting to know so many farmers through social media. 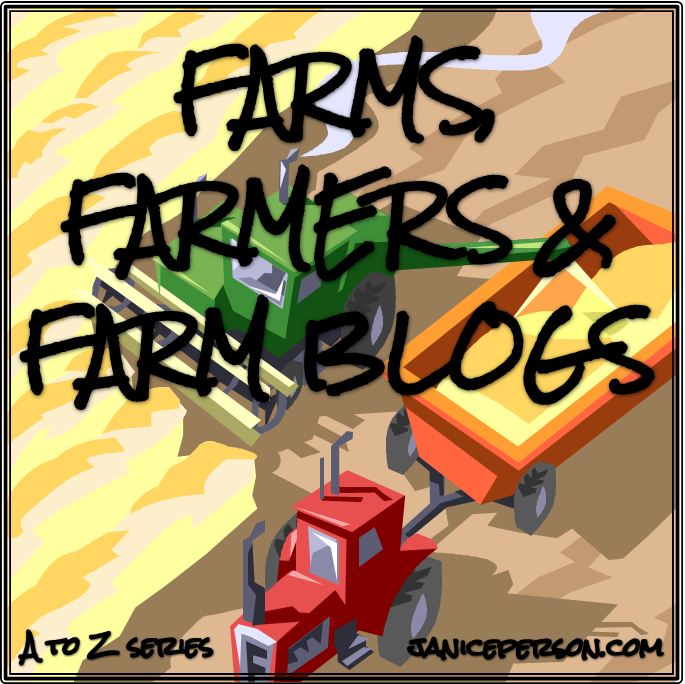 It has been exciting for sure and I thought that doing this for the A to Z would help others connect too. As far as working for Monsanto, I have an incredible job with great people. It is sometimes a bit understood what we do but I also find a lot of people haven’t heard of us. It can be hard to have conversations with critics, but I have found if I step back, listen & maybe ask questions, I can learn something. Some critics will do that too. If we could all do that and find common ground, maybe we could really make progress!